For centuries, poets and philosophers extolled the benefits of a walk in the woods: Beethoven drew inspiration from rocks and trees; Wordsworth composed while tromping over the heath; and Nikola Tesla conceived the electric motor while visiting a park. 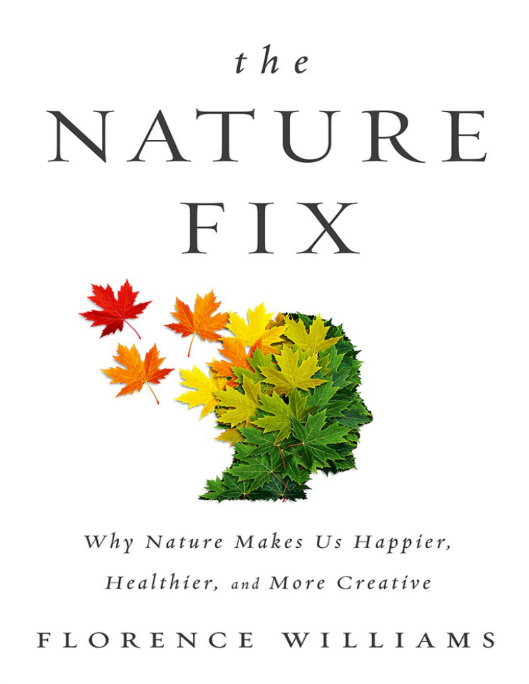 Intrigued by our storied renewal in the natural world, Florence Williams set out to uncover the science behind nature's positive effects on the brain. In this informative and entertaining account, Williams investigates cutting-edge research as she travels to fragrant cypress forests in Korea to meet the rangers who administer "forest healing programs," to the green hills of Scotland and its "ecotherapeutic" approach to caring for the mentally ill, to a river trip in Idaho with Iraqi vets suffering from PTSD, to the West Virginia mountains where she discovers how being outside helps children with ADHD. The Nature Fix demonstrates that our connection to nature is much more important to our cognition than we think and that even small amounts of exposure to the living world can improve our creativity and enhance our mood. In prose that is incisive, witty, and urgent, Williams shows how time in nature is not a luxury but is in fact essential to our humanity. As our modern lives shift dramatically indoors, these ideas--and the answers they yield--are more urgent than ever.